Feeling lonely? You’re not the only one. In an age where we are all constantly connected, more and more people are feeling disconnected and alone. Loneliness is becoming a growing problem for many people in wealthy countries. But solving an issue as widespread and complex as this one isn’t an easy task. For this and other real-world problems, data and analytics can do a lot of good. The more we can learn from the data, the better we can understand the problem and go about solving it. This year at the Gartner Data and Analytics Summit in Orlando, Gartner invited analytics vendors to unearth interesting findings from a research study on loneliness conducted by the Kaiser Family Foundation and The Economist. 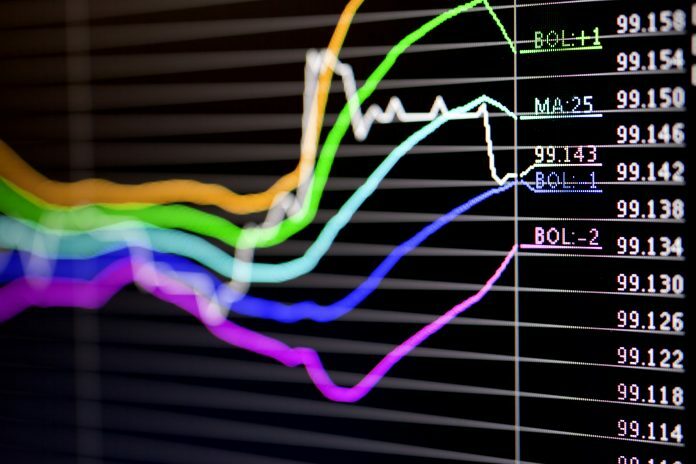 To help get us kick-started, TIBCO Spotfire® generated automated insights. Using Artificial Intelligence (AI), the automated insights generated were especially useful because it quickly and easily pointed us towards the best relationships to explore at the click of a few buttons. Based on these insights, Brad Hopper, VP Product Strategy, built a dashboard to quickly see what was going on with the data from a high level. The first thing he noticed was the oldest and the youngest age groups holistically represent the loneliest age groups. Drilling down, the loneliest group overall was the 18-24 year-old females and the next highest was the 65-79 year-old females. But, surprisingly, Hopper found that while Japan reported the lowest rates of loneliness, they also reported the lowest rates of happiness. Also paradoxically, the happiest group overall was the 65-79 year old females. Many experts have hypothesized about the possible connection between technology, social media, and loneliness in the past, but what’s the reality? Interestingly enough, when Hopper investigated the data further, he found that those who responded “no” to using the internet were also more likely to say that technology has made it harder for them to connect with others. Since this group responded “no” to using the internet, perhaps they are not even giving technology a chance. They might be discounting the ways technology could help them feel more connected even before trying it. One of the biggest struggles companies have today is how to take insights, like the ones we just uncovered, and translate them into intelligent actions for the business. Spotfire®’s streaming capabilities can help. With Spotfire®, you can get alerts about when to take action in real-time based on conditions you set. For example, this feature could be used to trigger an alert to a crisis hotline if there is a sudden spike in those who respond with a high likelihood of committing self-harm or violent acts. The ability to publish and distribute reports from the Spotfire® dashboard would also come in handy in this case. Officials could easily schedule reports to send out to state governors with monthly updates on the data relevant for their region or state, ensuring that stakeholders are always informed and can quickly assess the situation as it relates to their particular domain. The more we can learn about this growing problem, the better prepared public officials and policymakers can be to address it. Do you have data from something you are passionate about? Download your own 30-day free trial of Spotfire X and see how quickly you can get from data to insights. Flex your skills – and gain new ones – at Microsoft Business Applications Summit, coming to Atlanta, Georgia June 10 – 11, 2019. This is the place to dive deep with the tools you use every day, see the future of business applications before anyone else, and connect with our vibrant community. Registration is open – secure your spot today! The session catalog is live, and it’s growing. We’re gearing up for an incredible event this year, with 150+ expert-led sessions and workshops (plus 16 pre-days! ), filled with demos, hints, and hacks that will help you ramp up your skills and transform your business. Learn how to turn your data into insights and action through customized real-time reports. 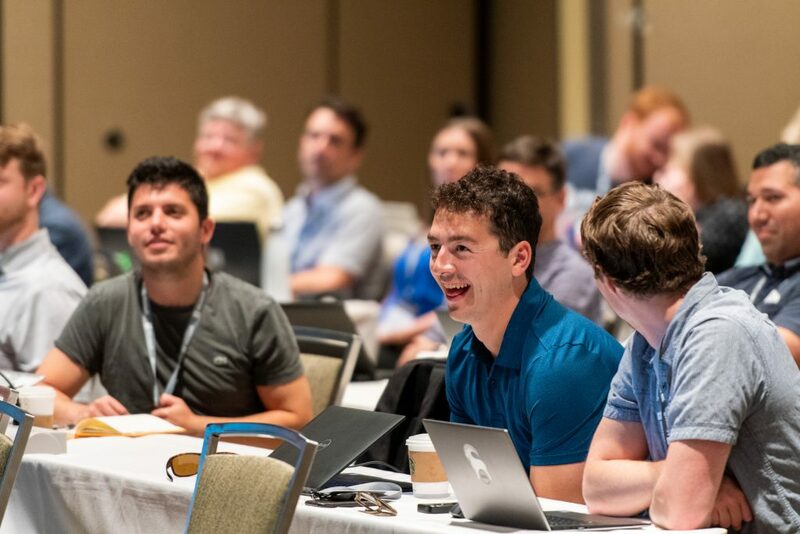 Plus, connect with Microsoft engineers who know the ins-and-outs of data connectors, DAX, and more in hands-on workshops and breakouts. Check out these sample Power BI sessions and get ready for an amazing conference. We’re adding sessions all the time, so come back often. We hope you’ll join us for 2+ days of total immersion to drive better data, stronger solutions, and bigger transformation. Register today! Control all visual menu actions programmatically – Options and Context Menus APIs has been extended to provide full control for each visual in the report on built-in commands, and custom commands. Built-in commands can be hidden, or grayed-out per visual and the position of custom commands in the menus can be controlled as well. Users can try the new ‘Insight to action’ showcase in the Microsoft Power BI Embedded Playgroundto experience the new feature! Personalize reports with Themes API – users can apply a custom theme to their embedded report, such as corporate colors, seasonal coloring, or other custom styles. The custom theme can be defined using a JSON file like in the Power BI Service, and be applied when the report is loaded or changed in a loaded report. Users can try the new ‘Personalize report design’ showcase in the Microsoft Power BI Embedded Playgroundto experience the new feature and get the code to implement it. Best practices for multi-tenancy with Power BI Embedded analytics – many of our customers build SaaS applications that manage multiple customers (tenants). When integrating Power BI embedded analytics into their SaaS application, they must carefully choose the tenancy model that best fits their needs. A tenancy model determines how each tenant’s data is mapped and managed within Power BI and within the storage account. The choice of tenancy model impacts application design and management. We can help users choose the best model for their needs and their customers, and weigh the different options across several important evaluation criteria. What will users take away from this two hours Power Series session at Power Summit? Users will experience how in few easy steps, they can embed Power BI visuals in web portals and applications for their internal organization or external customers and allow them to adopt decades of analytics expertise in minutes. They will also learn about our newest features and capabilities and will get an opportunity to look into our road map moving forward. Learn more about these new features and connect with Microsoft staff onsite in Amsterdam at Power Platform Summit Europe. Register today! The Power platform summit will help you stay ahead of the business intelligence demands of today’s data driven world and see the latest product roadmap on the Power Platform apps directly from Microsoft at this year’s user group community event, Power Platform Summit. The event will be held in Amsterdam, 27-29 March 2019, Power Platform Summit delivers the can’t-miss annual conference for users of the Microsoft Power platform – featuring education on Power BI, PowerApps, and Microsoft Flow. With incredible community experts and and Microsoft product group members at its core, this focused community event provides indepth learning on how Power BI can help you make sense of your data, produce beautiful reports, and uncover hidden insights for your business. Listen in as peers talk through how they have created apps that extend and mobilize their business using the no code PowerApps option. Then take it one step further by finding out how to automate processes, making your business more efficient with Microsoft Flow. It is THE event you should attend in 2019. Access to experts: learn from Power platform experts formally and informally, from the world's best Subject Matter Experts including MVPs, super users, and Microsoft engineers. 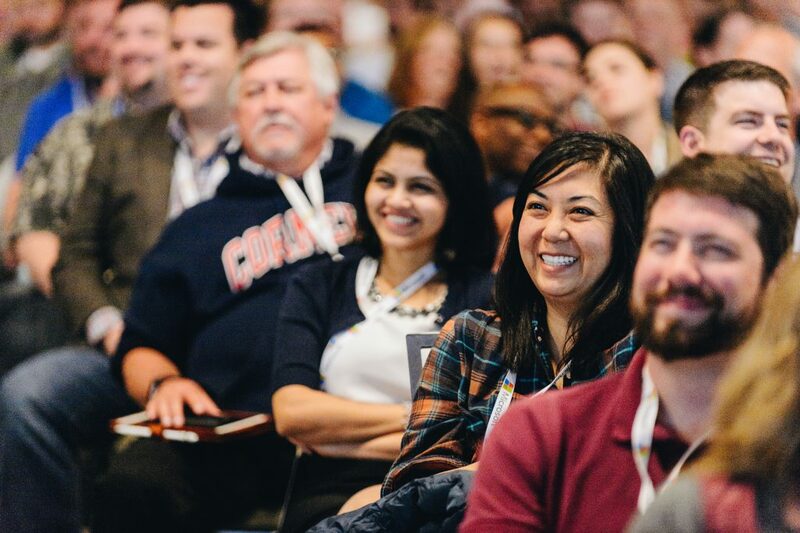 For those who may not be familiar with the event, the SQL PASS Summit is an annual conference bringing together thousands of data professionals to connect, share, and learn about new technologies and services. There will be tons of sessions and activities to expand your knowledge and skills as well as contribute to the community by sharing your lessons learned and best practices. If you haven’t already registered, visit PASS Summit 2018 to register today! Come experience the newest capabilities available in Power BI and see what's coming next. 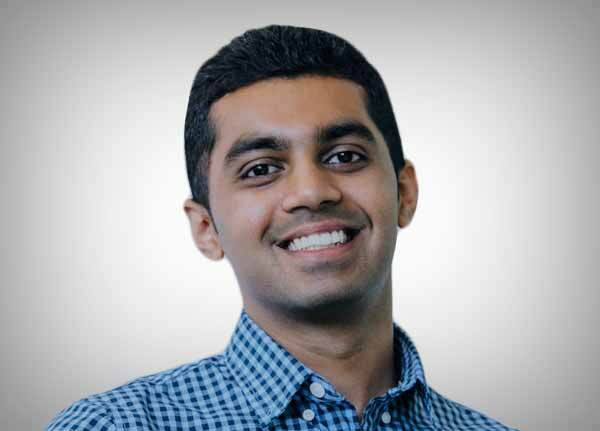 In this all-up Power BI session where we’ll show you Power BI’s vision for unifying modern and enterprise BI and expanding self-service BI for big data. Power BI enables you to build a data culture in your organization by empowering analysts and enabling agile enterprise BI. Join this session to get an end-to-end view of how Microsoft Power BI enables organizations to distribute BI insights to large audiences, to provide users with self-service analytics, and to help admins govern everything users do. Learn what’s new in collaboration, distribution, workspaces, and beyond. We also cover configuring governance policies, usage monitoring, and provisioning of licenses, capacities, and organizational resources. Walk away knowing how to make business users productive and ensure security and compliance with laws and regulations. We cover the typical admin tasks and tools, such as Power BI admin portal and Office 365 Admin Center, and how to automate them by using administrative APIs and PowerShell cmdlets. We also discuss our roadmap for these areas. Introducing advanced data preparation using Power BI dataflows. Simplify and unify data to create modern and powerful enterprise insights. Preparing and defining ETL for insights is significant challenge for businesses today—ingestion, cleansing, transformation, and enrichment are labor-intensive and time-consuming tasks, which require deep technical skills. Power BI now introduces advanced data prep with dataflows—a suite self-service low-code/no-code features and capabilities for business analysts to easily process and unify their data and store it in Azure-based data-lake storage. With these new capabilities, Power BI offers a solution for any business need—whether you want to prep your data with ease, using a familiar built-in Power Query experience, or to leverage the full Azure stack for more advanced use-cases. Join this session to learn how to easily prep your data, leverage Microsoft’s standardized schema, improve time-to-value, eliminate data silos, and create one source of truth for your organizational insights. Enterprise-grade intelligence is no longer out of reach! In this session we will take a look at the new enterprise modelling capabilities in Power BI that can help you unlock new insights from your data including some of the latest features such as aggregations for big data which enables interactive analysis over petabyte scale datasets, incremental refresh for faster refreshes, composite models to combine Import and DirectQuery, XMLA Endpoints for connectivity and programmability, and tooling for complex models. 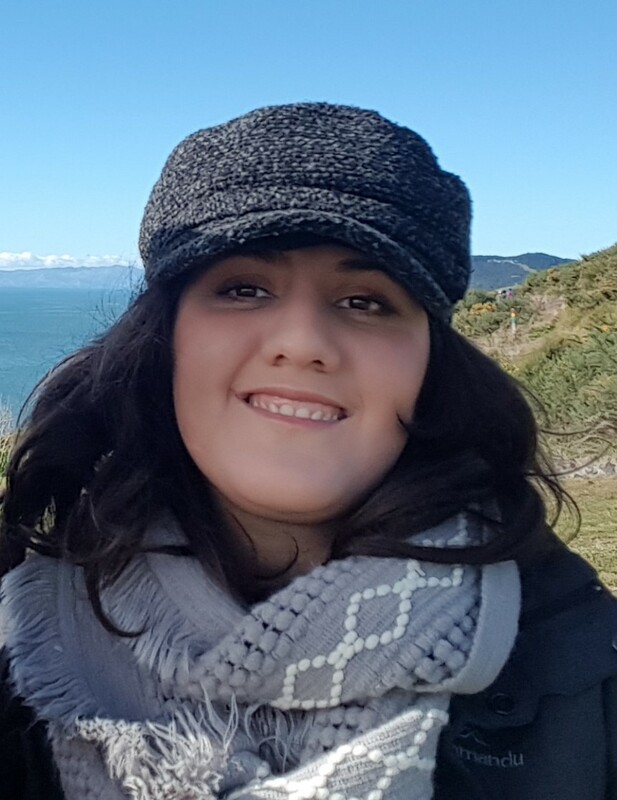 Come to this session to understand how the new enterprise paginated reporting capabilities can help you modernize existing BI approaches and move to the Power BI service. We'll cover how you can reuse your existing RDL investments wherever your data lives; on-premises using Power BI Report Server or in the cloud with Power BI. You will also learn how implementing a modern BI platform enables you to implement, extend, build, deploy, share and manage your end-to-end business intelligence requirements whilst still leveraging familiar tools, knowledge and processes. The sessions listed above are promised to be packed with compelling product demos and exciting new feature announcements. At the same time, the Power BI team is also going to run three engaging focus groups. Join us for these and help us make the product that you love even better! We are enabling self-service and enterprise BI in Power BI. The first part of this session will focus on Analysis Services (AS) features in Power BI. We want your feedback on the set of AS features to bring to Power BI. The second part of this session will be on application lifecycle management (ALM). We want your input on the features you need to enable comprehensive ALM in Power BI. Come join us and shape the future of Power BI. Do you use SQL Server Reporting Services (SSRS) today? Would you like to see your SSRS reports in Power BI? What SSRS features do you want us to bring to Power BI, improve, or remove? How do you author reports today and in the future? Come join the SSRS team to discuss your thoughts on this new capability in Power BI. We hope this will help you plan out your schedule and make the most of your Summit experience next week. See you there! 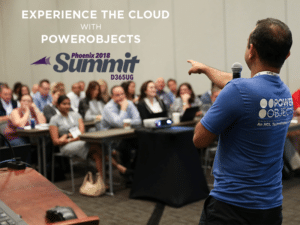 A few weeks ago, PowerObjects enjoyed the distinct honor of being a Premier Sponsor at Dynamics Communities’ Dynamics 365 User Group Summit in Phoenix. We had a great time chatting with existing clients, meeting prospective clients, and sharing knowledge and insights with colleagues, partners, and users from all over the globe. The annual Summit always makes for an exhausting week, but it is also incredibly rewarding, and this year was no exception. In addition to sponsoring the event, running the PowerObjects booth, talking to literally thousands of people, sharing our own journey to the cloud, and handing out tons of swag, the 21 PowerObjects team members hosted several workshops, demonstrated for crowds large and small the power and potential of Microsoft Business Applications, and showcased tons of the creative ingenuity for which we’re known. Please enjoy this video recap of our week in Phoenix! You might try to deny it, but everyone gets a little thrill when they meet someone famous. And in our little Microsoft Dynamics channel we have our own group of celebrities. They may not be paid millions of dollars like Hollywood stars, but they have certainly put in their share of hard work. They are the Microsoft Dynamics MVPs and All-Stars. When you attend the User Group Summit events a key benefit is getting to meet other users, peers that have the same pain points. But you also get to meet top subject matter experts. People who are super knowledgeable about the products and very active in the community. Not only can you meet them, you can get to know them personally. You can get advice from them, and have a drink with them. And then continue that relationship for years down the road. Here is our best effort at a complete list of MVPs and All Stars you can meet at User Group Summit. Allen, Belinda, MVP/GPUG All Star @belindathegpcsi Njevity Inc.
Green, Bert, GPUG All Star @Green12Bert Berger Transfer & Storage, Inc.
Kuntz, Jen, MVP @jenkuntzGP Energy + Inc.
Lowther, John, MVP/GPUG All Star @jlowther Njevity, Inc.
Vail, Leslie, MVP/GPUG All Star @leslie_vail Accounting Systems Consulting, Inc. Remember, registration for one Summit gives you access to sessions of all Summits. So you actually have the chance to meet all of these celebrities at User Group Summit. Let’s see how many celebrity sightings you can make at User Group Summit. Use the hashtag #MSDYNCelebrity with #UserGroupSummit. You are strolling through the aisles of the Expo Hall at User Group Summit Phoenix and see you see a perfect photo opp. Or you know a specific ISV vendor is there, and you want to send them a message. Use Twitter! Social media is a great way to promote and connect with your favorite partners at User Group Summit. But sometimes looking up their names on Twitter just takes too much time. Don’t forget to download the User Group Summit Mobile App onsite will have pretty robust options for finding exhibitors. The Exhibitor button on the App home screen is where to go to for the latest Expo Hall information and hours and to search the Exhibitor list and view the company descriptions and details. You can check out the Expo Hall floor plan and view the booth listings and details to find answers to all your exhibitor questions. It will be available to download in early October. SPECIAL OFFER: Take a photo with any of the ERP or CRM Software Blog members at UG Summit and tweet it with the hashtag #ERPBlogISV or #CRMBlogISV. One lucky tweet will be selected to win a $ 150 Amazon gift card from @erpsoftwareblog.